is looking for new members in our team. As an substitute player, one roster spot available. We are team with six members. 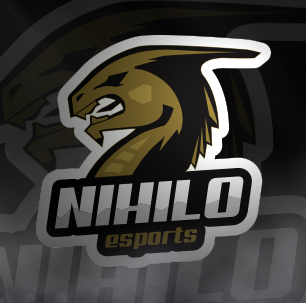 Our previous team name was Vicious Wolves, but we joined in an organization called Nihilo eSports. At the moment only playing ranked, ladder and try to scrim more, trying to improve our strats and gameplay as together. So, we are gold-plat team trying to find more players to join us on ranked and ladder and play as a team. We look forward to play ESL matches, such as open ladder and community cups (we do not take a part in GO4s). We are gold-plat team. We do not play competitively (example: in GO4s/Nordic cups/Other Major tournaments) reason for that is not open for public. Keep that in your mind when thinking to contact me. We are looking for active players, who wants to improve as an individual player and as a team. We are not looking for arrogant players, whose world is in stats. We offer warm and fun play environment, where everyone tries to improve and go forward. Our youngest player is 19 yrs old, and oldest 33 yrs old. So, we have mature environment with silly humour, we can be sometimes child minded when everything goes too silly and funny. We have players from three different countrys (mostly from Finland). Flexible schedule to play with the team (usually: 5pm-10pm or 7pm-12am EET, depends a lot).